The internet has the potential to revolutionize disability access to information, but if we’re not careful, we can place obstacles along the way that destroy that potential and which leave people with disabilities just as discouraged and dependent upon others as before. Statistics! Numbers! Proof that there’s actually good reason to pay attention to accessibility practices. The information is a few years old, but it’s still valid as a means of saying this matters to real people. It’s not just us web people coming up with new things to preach about. @drinkerthinker zeldman third edition — the accessibility is very good. Sadly, not all web resources live forever. 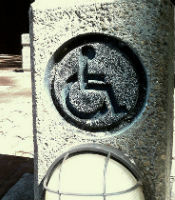 @drinkerthinker Did anyone archive diveintoaccessibility.org? That used to be my old standby. @drinkerthinker diveintoaccessibility.info is a bit dated, but it’s still a great starting resource. Social bookmarking to the rescue! @drinkerthinker See also w3.org/WAI/ For non-tech people, I would focus on how #a11y problems affect people, not on checklists. I don’t have anything in particular to add to this, except to say that this is a topic not nearly enough web designers and developers pay attention to. Just because someone has a disability of some kind doesn’t mean they aren’t using the web, and just because someone’s using the web doesn’t mean they don’t have some kind of need that would benefit from even basic accessibility practices. Previous Previous post: Your House is Burning – What Do You Grab?